This month we cover a seasonal event in the village, the ancient art of Tai Chi and some cutting edge broadband technology. Not a bad mix! 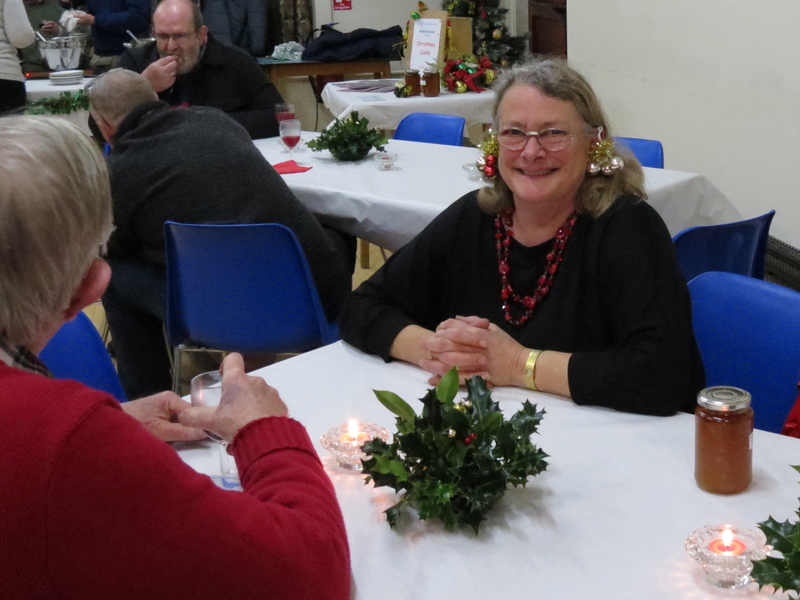 The Christmas decorations came out for the first time this year at the beginning of December to decorate the village hall for the Mulled Wine and Mince Pies event. 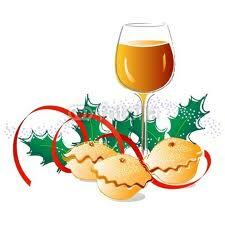 Along with some Christmas music, this all helped to set the atmosphere for an enjoyable and relaxed event. 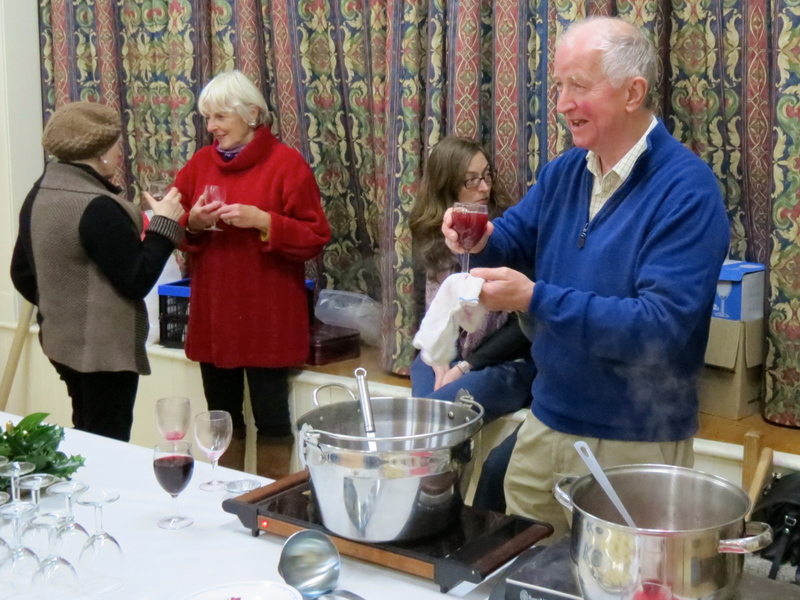 Peter, proving that he has a steady hand, served the mulled wine, while Sue and Julia looked after the eats. The event was well attended, and thanks to everyone’s generosity, we will be able to make a significant donation to the hall funds. Julia, sporting some seasonal earrings. 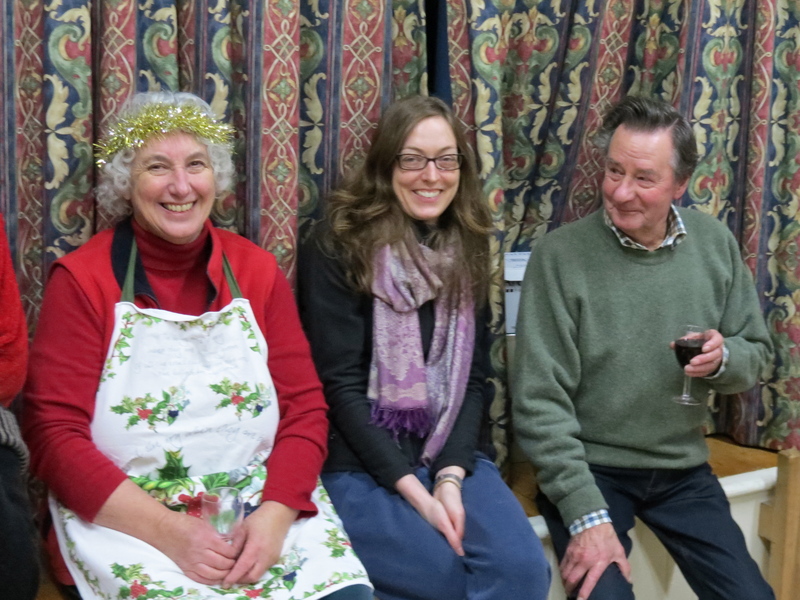 Many thanks to everyone who helped set up the hall before the event and to clear up afterwards. Tai Chi: The Hall Committee is keen to encourage new activities in the village hall and a number of people have expressed interest in joining a Tai Chi class. Originally developed as a martial art in 13th-century China, Tai Chi is practised today around the world as a health-promoting exercise. Studies have shown that it can help people of all ages to improve balance and general mobility, increase muscle strength in the legs and reduce stress. Tai Chi classes will start in the hall on the 14th and 28th January at 2pm, weather permitting, and the cost per class will be £5. If you’re interested, or would like to find out more, please contact Karen on 830548, or info@abs-scotland.co.uk. Broadband: As we all know only too well, broadband provision is poor and very slow in Fearnan and although the Digital Scotland project is bringing an improved service to many parts of rural Scotland, we are not likely to benefit from this in the Loch Tay area. However, another possibility is being actively explored, and Loch Tay Internet is a project of the Ardeonaig and Ardtalnaig Community Association. At a recent meeting at the Big Shed, the project managers explained that, through the project, High Speed Broadband will be brought to the lochside by radio waves, rather than through the normal phone lines. Starting in Spring 2015, the original signal will come from Pitlochry and then be relayed by microwave technology to Ardeonaig and Ardtalnaig. Each property on the system will have a small aerial attached to a high point on the building to receive the signal. Initially, the signal will be beamed to Lawers and can then be sent criss-crossing across the loch as often as required. It is described as ‘line of sight provision’ and requires a clear view of the loch without too many trees, or a high point on the building that will provide this. There is a one-off set up cost and then monthly costs. The proposed set up cost is £149.99 and a 2MB facility would typically cost £14.99 per month thereafter, with options for faster speeds up to a maximum download speed of 50MB. The company provides all the necessary hardware. The initial contract can be as short as 12 months, with no exit fee. Phil Simpson at the Ardeonaig and Ardtalnaig Community Association (phil.simpson@abernethy.org.uk), and David Tomlinson at David.Tomlinson@abinternet.co.uk.